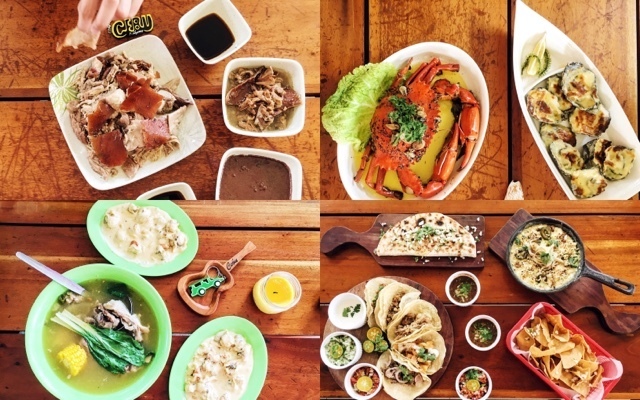 Mactan Alfresco in Newtown is one munchtrip stop in Cebu where you can find local food favourites, and dine there, while enjoying the sea breeze of the breeze from the lechon pit. Ahh food perfume. 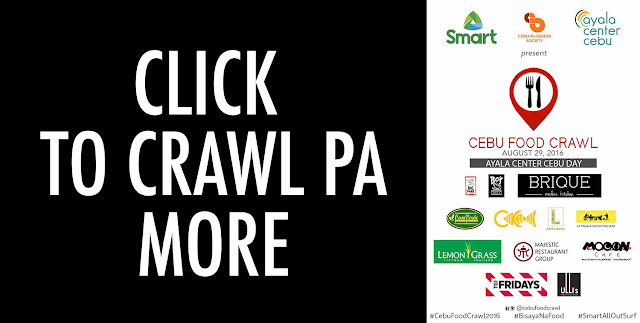 Mactan Alfresco (as of August 26, 2016) has 11 homegrown Cebuano food establishments placed side-by-side in an octagonal floor area. At first glance you would think it is a big area but I was surprised that it was so easy for me to go around, view the food choices, order and sit in any of the 500 seats surrounding the tenants. Convenient! The Mactan Alfresco is far from being an ordinary food court. I'm used to seeing square spaces where I would stand in the midde and be paralysed by all the choices I see corner to corner. 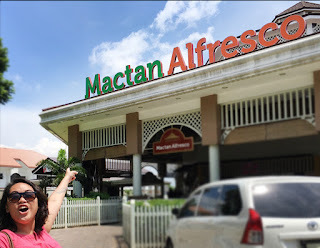 Mactan Alfresco is nothing like that because I got to see the establishments one at a time from my perspective, and at the most three. SO I can discern more before picking my food choice. The open air ambience with wooden tables and chairs are simply low key to give focus to the very good food variety here. Even the colour scheming, dark chocolate and cream, is simple. The Lechon Pit is a unique part of Alfresco Mactan as it showcases how the Filipino pride delicacy is carefully made. Make a stop and get some lechon perfume! Cebuano lechon roasters are so proud that they are confident to openly display how lechons are cooked. I even had the hand at trying to brush the pig in oil. I am not meant to be a lechon roaster. Not figuratively speaking, but literally speaking. My foundation was melting off my face but I still tried it as it is not everyday that I could do that! Sorry, I am not going to sell lechon, so please no inquiries about the lechon I helped make. On this Cebu Food Crawl 2016 stop, my favourite was the Ayer’s specialty Lechon. It had the salty, crunchy pork skin that crackles when you bite into it. Well seasoned! The meat was tender and juicy and I did not mind the natural lip gloss that it gives me after eating it. I will eat this foodgasmic lechon any day!